Let us free you from the strangulation of technology so you can get creatively marketing again. That's not to say that SEO is not extremely important, but if you are looking for top results from search engines, namely Google, as of early 2017, the game has changed. It's definitely a 'pay-to-play' game now. That puts a lot of doubt in most people's mind. The fact is that excellent returns are very possible with the help of those who know what they are doing with Adwords. It's not just about Adwords, either. Everything else still counts. Great onsite SEO will help you get better returns on your advertising. A tight, fast mobile first website is also important. There are a lot of factors but get them right and whether you are national, global or local, SEM can really make money for all sizes of businesses - that's what SEO could not do - now that is something to really think about. The next thing to be keenly aware of is the fact that software and web-technologies across the board have recently taken a time-bending leap forward, no matter what you look at, from CMS to managed, to serviced, integrations, cloud, voice, mapping, forget tracking, think predictive is already here. That guarantees one thing, everything just went up in cost, and that is a fact across the board. The best thing about it all though, the value is insanely worth it. If you want your online toys to take over the market, there's plenty of great options to launch your marketing into outer space. LynxSEM boxes it, so you don't have to spend your time learning it. You've got the time to use the most powerful tool, the creative mind to put it to use. Conversion marketing, another type of marketing without the word website. Google Tag Manager makes Optimize a breeze. Generating new leads, what do you think it really is? Finding those who need your service or product or being found by them. SEO has finally become what it is to those who love it. It is about content and better content organization. It's a beautiful thing. Consumer research is a great way to find out about your potential customers and clients while getting their attention. Direct emailing is one of the best digital marketing methods, unfortunately emails sent aren't genuine and obvious to readers. WordPress combines select extensions, plugins and themes. But are you mobile friendly and is your design Mobile First? Social media marketing is a chore. You can't stop if you start. If you just keep sharing everything else, there's apps for that. Facebook advertising is very simple, low cost and doesn't have to become a full time job. Especially when adverts move minds. Agency services, packaged like a plugin for WordPress. You have the choice to sign up for a pay-as-you-go hassle free subcription-based cutting-edge WordPress website package that keeps your website safe while centralizing and simplifying the process to marketing online through WordPress. Instead of helping, web-based technology has most firmly tied down, you are free of the costs and constant need to update and work on your organization's website. To make the complete package, we also provide LYNXServices, all those gritty marketing tasks, again, pay-as-you-go. Free yourself so we can focus on creative because that is something that digital tools just cannot do. Why spend hours being a slave to the machine? 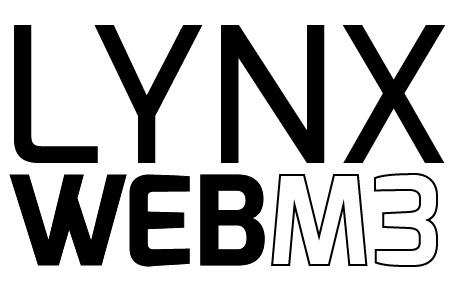 Let LYNX WEBM3 & LYNXServices make the tech easy and get the job done for you. You can go back to managing your marketing and getting creative.